The stop by the People's Liberation Army Navy's ship is the latest in an 11-nation ``Mission Harmony'' tour. 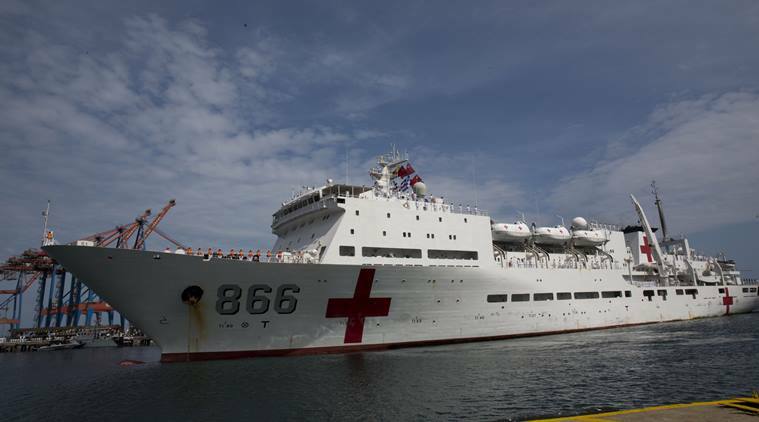 La Guaira: A Chinese navy hospital ship has docked near Venezuela’s capital as the OPEC nation’s deepening economic crisis garners the attention of the US and other world powers. Venezuelan Defense Minister Vladimir Padrino was on hand Saturday for the arrival of the Peace Ark. The stop by the People’s Liberation Army Navy’s ship is the latest in an 11-nation “Mission Harmony” tour. Such goodwill visits have been a mainstay of US diplomacy in Latin America for decades. But the Chinese ship has visited South America only once before.